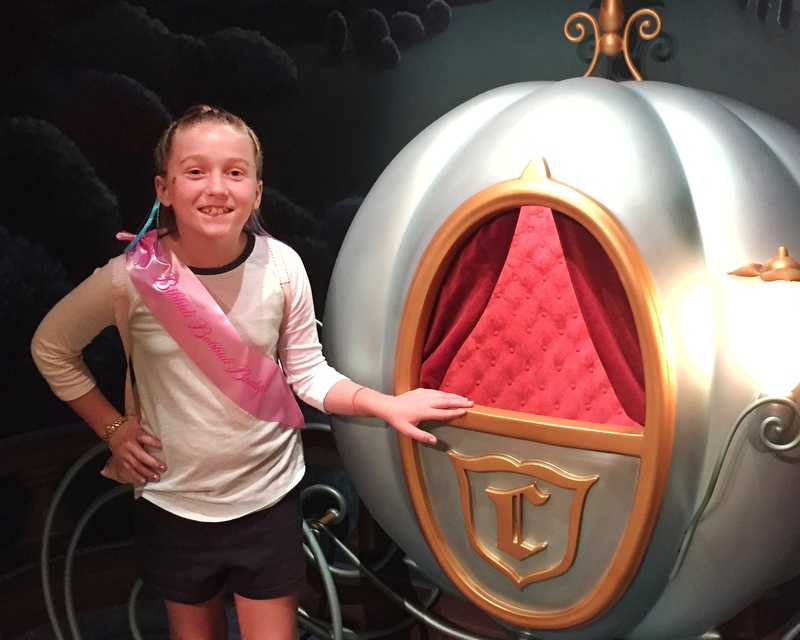 When you’re vacationing at Disney World, you want to make the best use of your time and energy, two things that are generally available only in limited supply! There are a lot of conveniences provided by Disney to help you do just that like FastPass+, Mobile Ordering, Minnie Vans, and more. Another way to save a little of both is a Disney World secret, popular with repeat guests and locals. This insider secret is to use shortcuts at the Disney Parks, to bypass crowds or save you a few steps. Here are some of the secret shortcuts you can find in the parks. Magic Kingdom is designed with a hub and spoke design where the different lands all branch off a central hub in front of Cinderella Castle. This is a great design that’s easy to navigate for most guests, but during parades, fireworks and busy days in general, the hub area in Magic Kingdom can get really, really crowded. A shortcut that we love to use to avoid foot traffic passes near Tomorrowland Terrace Restaurant rather than use the main walkway from the hub. As you make your way from the entrance toward Cinderella Castle, hang a right as soon as you pass The Plaza Ice Cream Parlor. Continue toward Tomorrowland Terrace Restaurant and then turn left and follow the curve of the building. This shortcut puts you right in front of Monsters, Inc. Laugh Floor saving a significant number of steps. During times of heavy crowds, Magic Kingdom Park opens up a “backstage” area as a guest walkway that runs behind the Main Street USA buildings from Tomorrowland to The Chapeau (the hat store beside the Confectionary). This isn’t a walkway that’s available all the time like the others on this list, but it may be the best shortcut on property! When it’s open, it’s a great way to get out of the Magic Kingdom quickly and effortlessly. You’ll find the entrance to the bypass between The Plaza Restaurant and the bathrooms near Tomorrowland Terrace. If you see it marked as “Cast Members Only,” the bypass isn’t open. When it is open, it will be very clear that it’s ok to use this path and Cast Members will be standing by to direct you. Have you ever noticed the boardwalk walkway alongside the Rivers of America? It runs from Liberty Square near the Liberty Square Riverboat and Liberty Tree Tavern all the way through Frontierland to an area between Splash and Big Thunder Mountains. This is another great pathway to move around the crowds, especially when guests are lined up to see the parades. These two walkways in Epcot may actually be longer in distance than the main walkway between the Fountain of Nations and the entrance to World Showcase, but they are generally less crowded, so you can get where you are going faster by using them. The walkway alongside the Imagination Pavilion is narrower than the main pathway through the center of Future World, but it’s a beautiful walk alongside the water. It can also be used to avoid the crowds during busy times and during fireworks, where many people may be standing still and blocking the way. We want to offer a word of caution though – during some festivals, there is a children’s play area installed in this section of the park, which can lead to more traffic during those times. The Odyssey Center is now sometimes referred to as the Odyssey Festival Showplace and used as the Festival center for the Flower & Garden and Food & Wine Festivals. Though those events do bring more foot traffic at those times, the walkways that surround it still offer some off-the-beaten-path ways around crowds or slow-moving pedestrian traffic. As you can see on the map, there’s a walkway from Test Track to Odyssey and another between Odyssey and Mexico. This is a good shortcut when you are trying to get from Future World to World Showcase in a hurry for your Frozen Ever After Fastpass. Animal Kingdom has so many meandering paths, it’s easy to find yourself on a walkway that takes you somewhere other than where you intended. That can be fun if getting lost in the scenery is something you enjoy, but that’s not what this list is about. 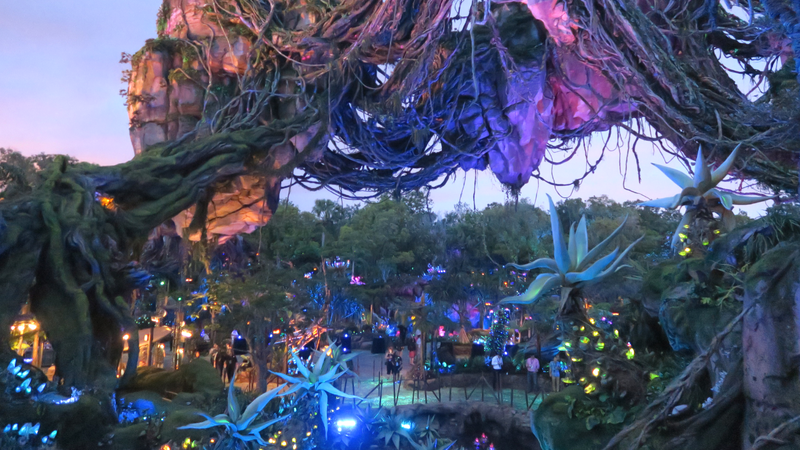 So, our best shortcut in Animal Kingdom is a path that runs along the water between Pandora – The World of Avatar and the Africa section of the park. It’s important to note that this path is not open in the mornings, so there’s no sneaking into Pandora “the back way” to beat the crowds to Flight of Passage. But after you’ve enjoyed your visit to Pandora, this walkway bridge is a great way to get over to Africa without going back out toward Discovery Island. Later in the morning, this path is open to travel either direction. It’s a peaceful and pretty walk, too! So, what do you think of these shortcuts? And have you ever used any of these paths to avoid a crowd?